The real pen that does real magic! 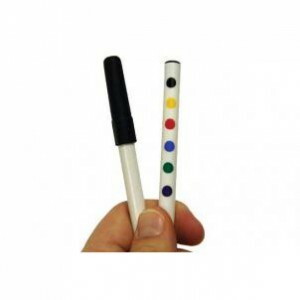 You show both sides of the pen to have multiple color dots. The spectator selects a color, and all of the dots transform to that color! Great new item in Magic! Made in two styles - red outcome & blue outcome for secretly forced color!